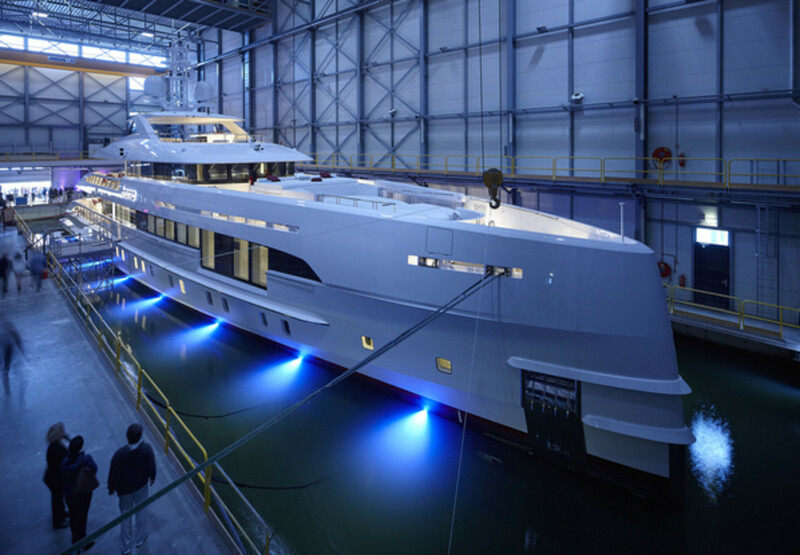 Dutch yards launched 21 superyachts in 2017 and took 23 orders for new vessels. Statistics for 2017 show that the superyacht market in Holland grew by almost eight percent over the previous year, as deliveries increased from 21.6 percent to 30 percent. Dutch yards launched 21 superyachts in 2017 and took orders for 23 new vessels. The statistics were contained in the annual Superyacht IQ report. The 21 deliveries of boats measuring more than 30 meters long were built by 10 different Dutch yards. They had a total value of 1.19 billion Euros, which translates into an average of 57 million Euros per superyacht. Compared to 2016, the figures represent a growth of almost 17 percent from 18 deliveries to 21 and 28 percent from 927 million Euros to the 1.19 billion Euros. The number of new orders longer than 30 meters rose by almost 28 percent from 18 to 23 and of those, one was a sailing vessel. Turning to the global picture, the estimated total value of the 149 completed yachts longer than 30 meters in 2017 was 4.08 billion Euros. The Dutch yards now have a market share of 29.2 percent, up from 21.6 percent in 2016. Holland’s portion of the global market in terms of deliveries grew from 11.2 percent in 2016 to 14.1 percent in 2017.